Are you anything like me and love a great deal ESPECIALLY when it comes to your wardrobe? As my close friends and family will confirm, I love love LOVE high-end brands (unhealthy some may say) because frankly, no other type of fashion seems to have the quality and beauty that HONEST name-brand products are known for. Realistically, I can only afford high-end once or twice a year. So my style collection revolves around the oocasional investment splurge with a lot of economically chic items dispersed throughout my closet creating a great base for high-low fashion. Do you notice yourself responding with this phrase each time someone compliments you on your outfit? "Thanks! I got it at XXXX spot and guess what, they are having an awesome sale right now, this piece was 50% off!" Well, if that's the case you are going to LOVE this series, showcasing great designers that are not only economical but most importantly, fashionable and chic. To start off the Series, let's talk about a brand that has been around for decades, they've recently rebranded their products into true fashion trends that can be enjoyed during the week OR the weekend. A few of their best pieces below; make sure to get them soon because I GUARANTEE they will be gone before you know it! Weekday: Target Blouse (SOLD OUT), similar here and ON SALE! // Prada Flats (SOLD OUT), similer here and ON SALE! Weekday: Tom Binns Jewelry here, similar here and ON SALE! // Prada Pumps here, similar here and ON SALE! Weekend: Roberto Cavalli Sunglasses here, similar here and ON SALE! // Kate Spade Flats here, similar here and ON SALE! Weekday: Rebecca Minkoff Blazer (SOLD OUT), similar here and ON SALE! 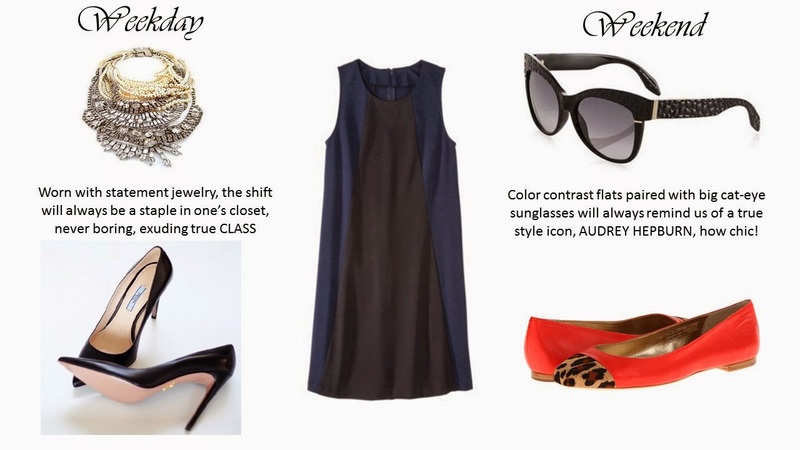 // J.Crew Droplet Necklace here // Prada Pumps here, similar here and ON SALE! 1. Always stick to dark colors or black: bright colors will fade and quickly look "cheap" over time. 2. Always stick to rayon, cotton or polyester-BLEND when it comes to tops: full polyester is very hard on the skin especially during the hot summer months, and back-acne is nice, said NO ONE ever. 3. Always check the seams and zipper(s) of the clothing: if it is crooked or the zipper catches, these "pieces" will never last. Happy Shopping and please stay tuned for more in this new Series!